Thank you to all who attended the 2019 Show! 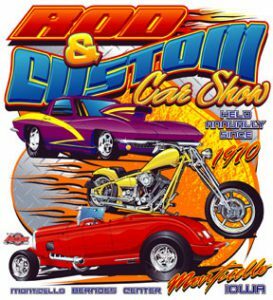 It was our 50th Annual Rod and Custom Car Show! See you all next year February 22-23, 2020! Kcrg TV 9 presents 50th annual Rod and Custom Car Show Monticello Berndes Center, 766 N. Maple St. Monticello, Iowa. 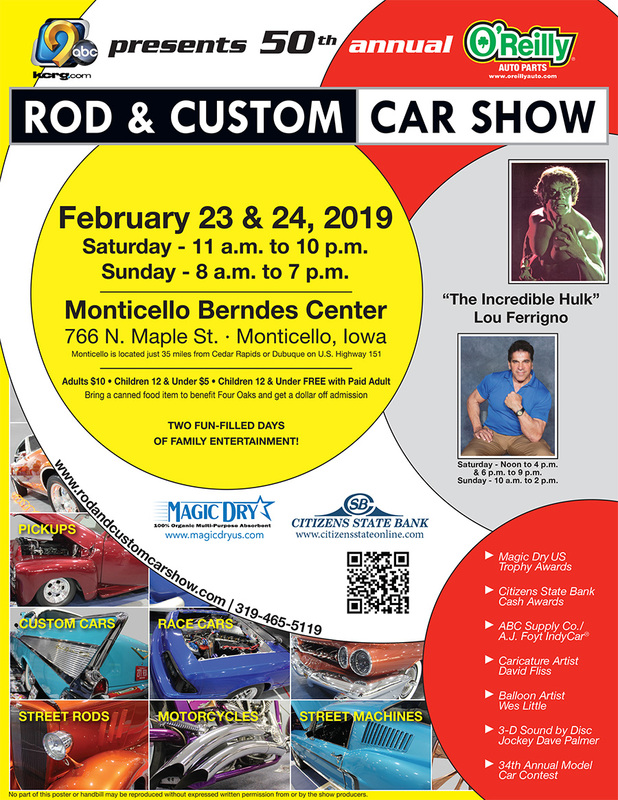 Monticello is located just 35 miles from Cedar Rapids or Dubuque on U.S. Highway 151 February 23 & 24, 2019- Saturday – 11 a.m. To 10 p.m., Sunday – 8 a.m. To 7 p.m. Adults $10 • Children 12 & Under $5 • Children 12 & Under FREE with Paid Adult Bring a canned food item to benefit Four Oaks and get a dollar off admission 319.465.5119 Two fun-filled days of family entertainment!